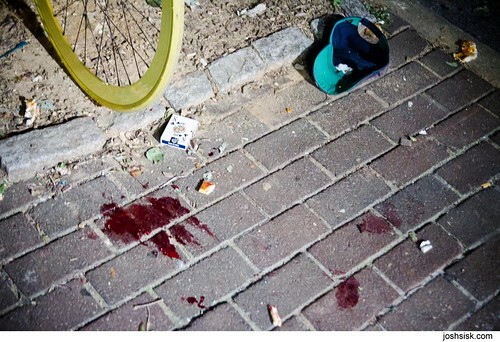 Blood on the sidewalk, Baltimore. Spotted this walking down the street in Station North. Apparently there had just been a big fight. The police broke it up. Moments after I took this, the owners of a nearby business washed the blood off. Made me think of how many other messes like this get cleaned up all around me, all the time.